Aquascapes, your aquarium that is filled with unique fishes. Have fun looking for the hidden object that lurks in your aquarium. 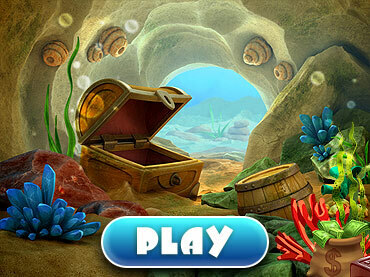 If you like this free game, try Fishdom H2O: Hidden Odyssey. In Aquascapes, you will explore the deepest corners of your aquarium. Test your sight, in this hidden object gameplay. Earn money, personalise your aquarium and make your pet fishes happy. Each fish has a distinct personality. Dive into the game today! - Explore the exciting aquatic world of Aquascapes with Fishipedia. If you have questions about Aquascapes game, please contact us using this form.